You can find us in wimberley! 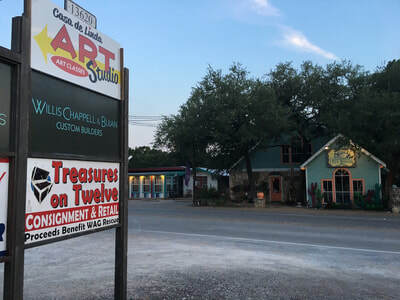 Casa de Linda Art Studio is located only 2/10ths of a mile (about 2 blocks) from The Square, which is considered by many as downtown Wimberley. 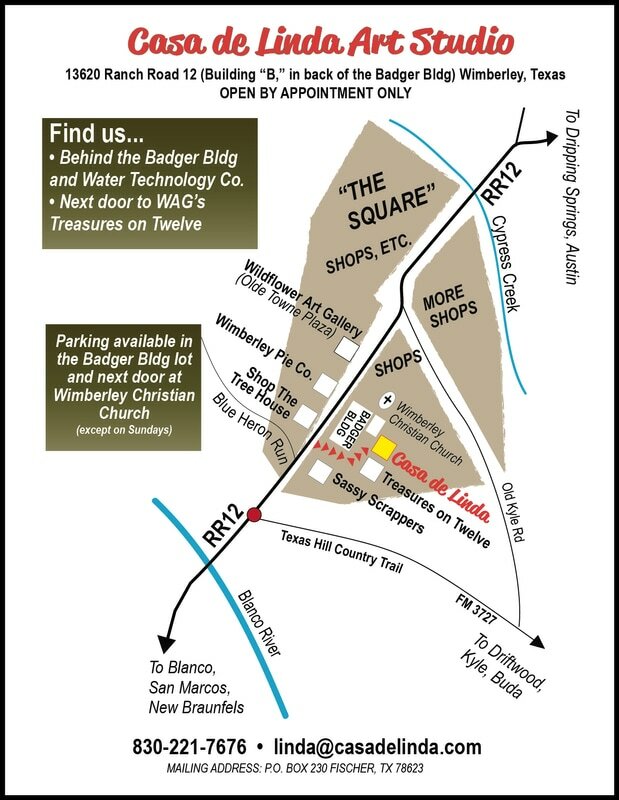 Our address is 13620 RR 12, and Ranch Road 12 is the only road that goes through Wimberley, making it easy to get here. The tricky part of finding us is that we are not facing the street. 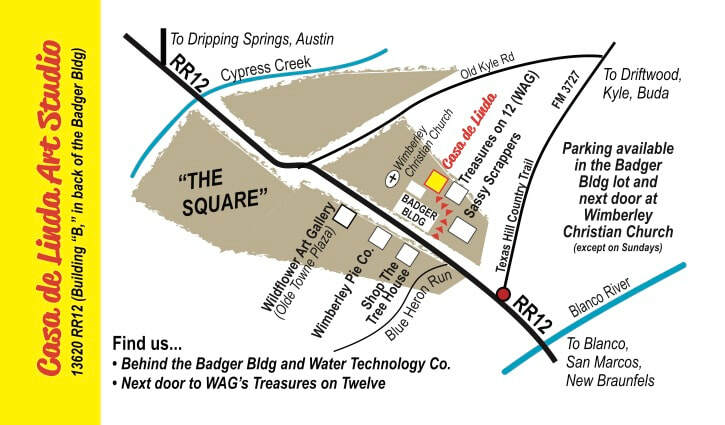 We are in a cute little brick building at the back of the parking lot behind the Badger Building, which is home to Water Technology Co. as well as a vape shop and a custom builder. 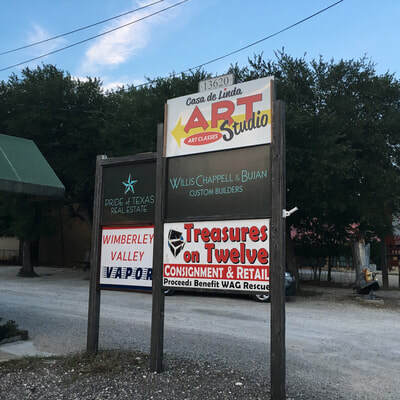 We face Treasures on Twelve and we are sandwiched between Sassy Scrappers and Wimberley Christian Church. On this page is a map, a few photos and then a Google map. 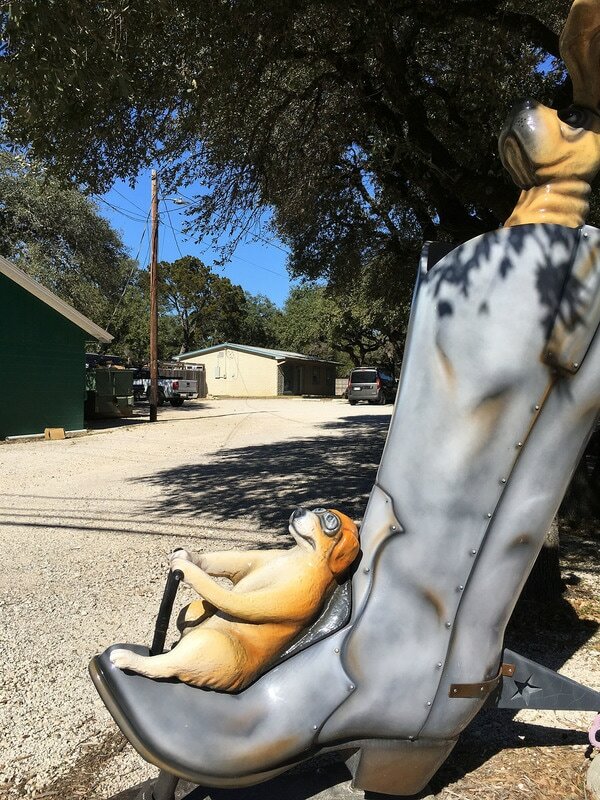 If you still can't find us, please call 830-221-7676 and we'll give you directions! Please remember that we are open only for classes and by appointment. Be sure to let us know in advance if you just want to drop in to say hello, see the studios or ask about our programs. Thanks! Perhaps some photos will help you find us? We've found that the address, 13620 RR 12, seems to show up on various mapping programs. But it never hurts to double check and know where you are going. Hopefully, the custom map and photos above will help but here's the link to the Google map.